Discussion in 'Contest #6: Spawnroom' started by YM, Sep 29, 2008. 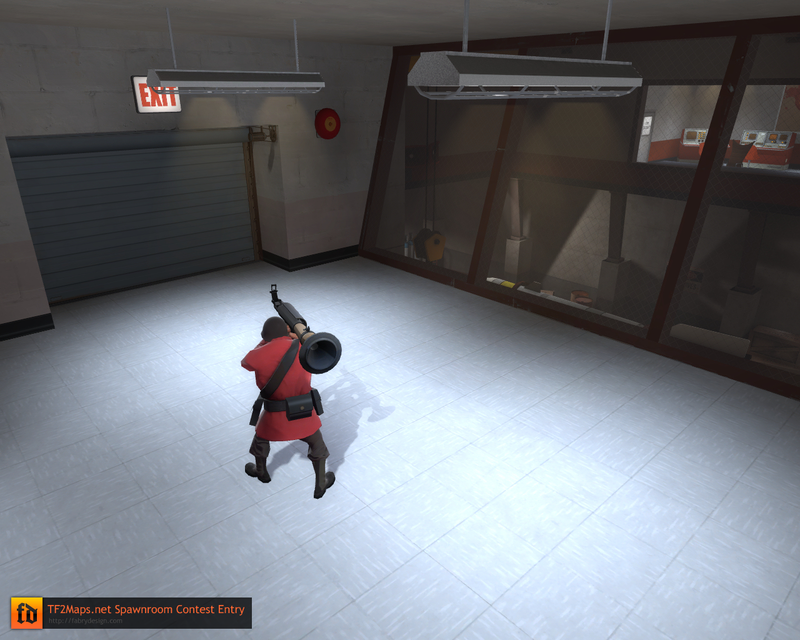 I might make a custom floor texture the spec map on that is just too weird. 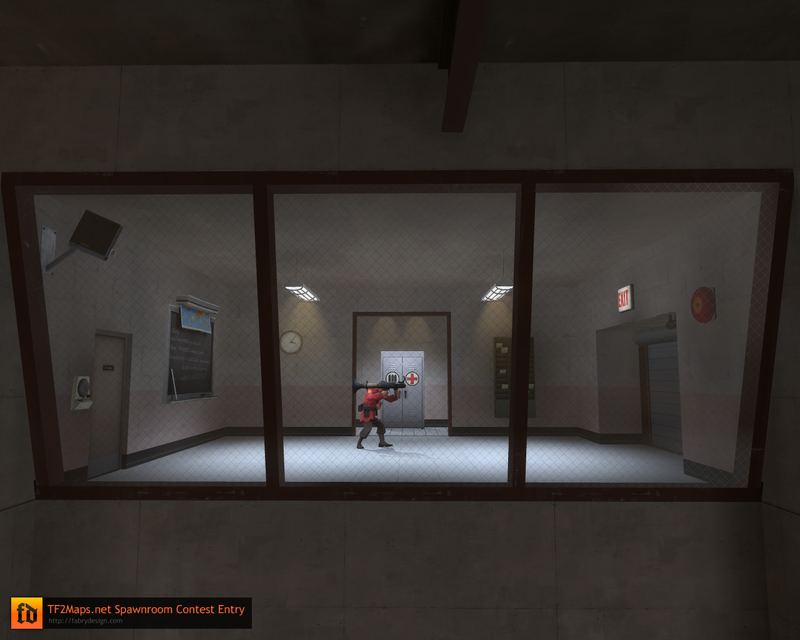 So my goal for this spawnroom was: simple as hell, and just rush out that door. I can't see any of the images, even looking at the source. Desc: Red's base is a simple train station. There are two levels, most of the middle part of the area, over the train, is not accessible. 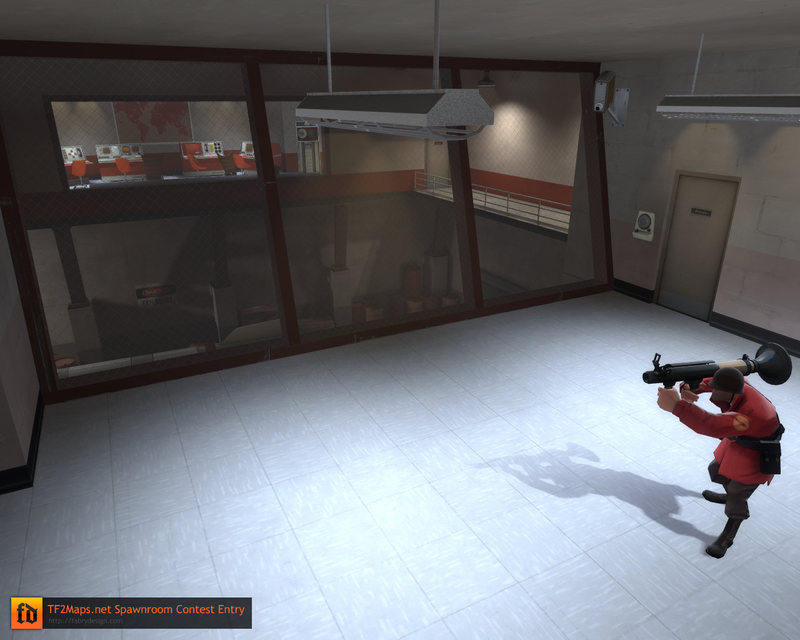 Neither is the lower loading dock below were the players spawn. While two lockers are right next to where the players spawn, the other two are located behind the stairs, with a sign indicating where they are. The third exit is below the control room. There is a simple hiding spot in the right exit's hallway, between the barrels there is a spot for players to "hide" when their team loses. Both of those look really nice. I have to ask Sniper though, when did we become T2Maps.net? Unfortunately sniper all of your screenshots link to adverts (they're not showing on the forum and when I copy the url into the adress bar I get an advert and nothing else) you're going to have to upload them to another site. Thanks button, there for a reason! Okay, I'm finally done with my entry. So this little guy here is in the track control room, and he accidentally died. Cardiac arrest maybe? The autopsy will tell. Of course, when the track controller dies at work, bad things happen. Remember it's early 20th century, they didn't have automation then, did they? After a traumatic crash experience (that happens during setup time, and it's way too dynamic to show on screenshots, so run the .bsp to have a good idea of what I'm talking about), the BLU team emerges from their luckily unharmed passenger cars. It's designed as an A/D spawn room, due to the setup time restriction. There are four exits, two on each side - one on ground level, and one accessible through a tunnel and a catwalk system. Rather than the usual pillar-supported stuff, I went for a suspended version. Download the zip here. 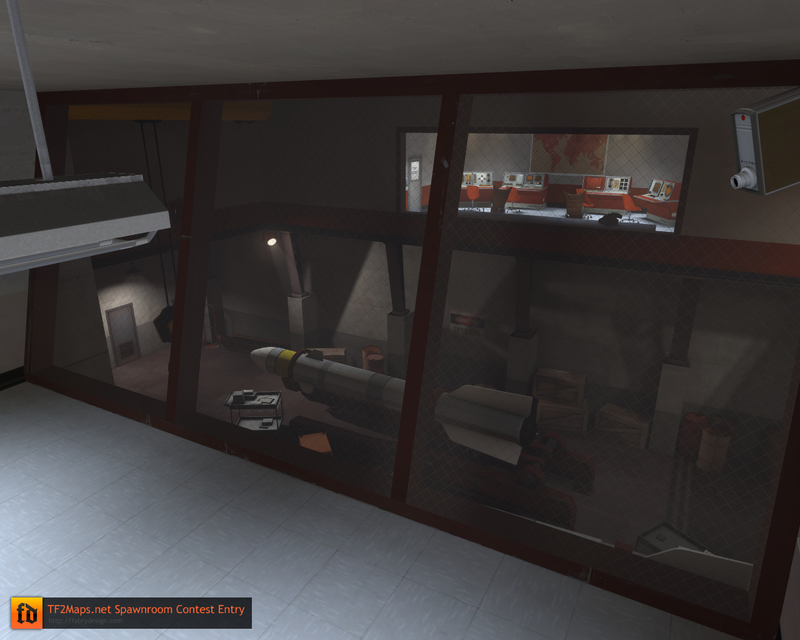 Credits go to Youme for the metal hull and custom dev textures, as well as ELFworks for the pyro and spy posters. Wait a sec! 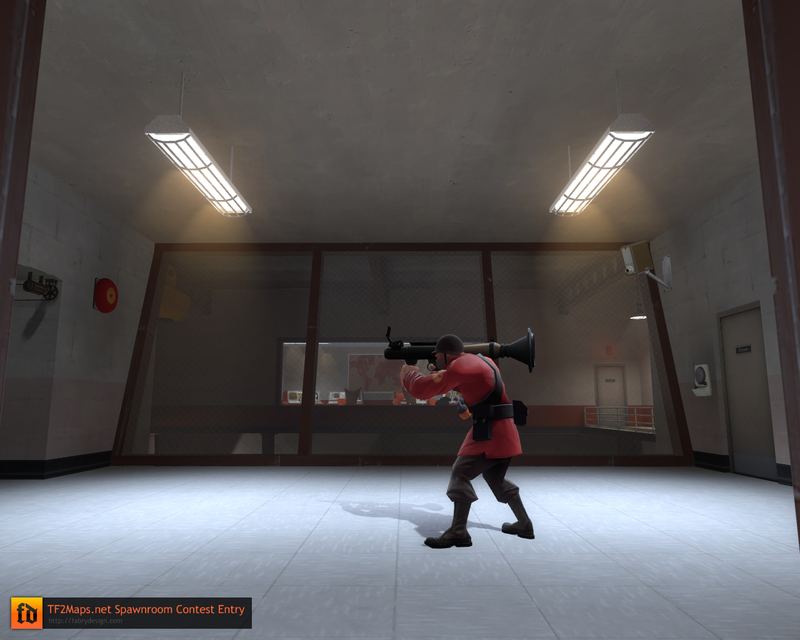 FAIL dustbowl clone. Gotcha. After the BLU train crash, here is the RED plasma factory (can you actually manufacture plasma? Of course you can). More pictures on the download page: here. 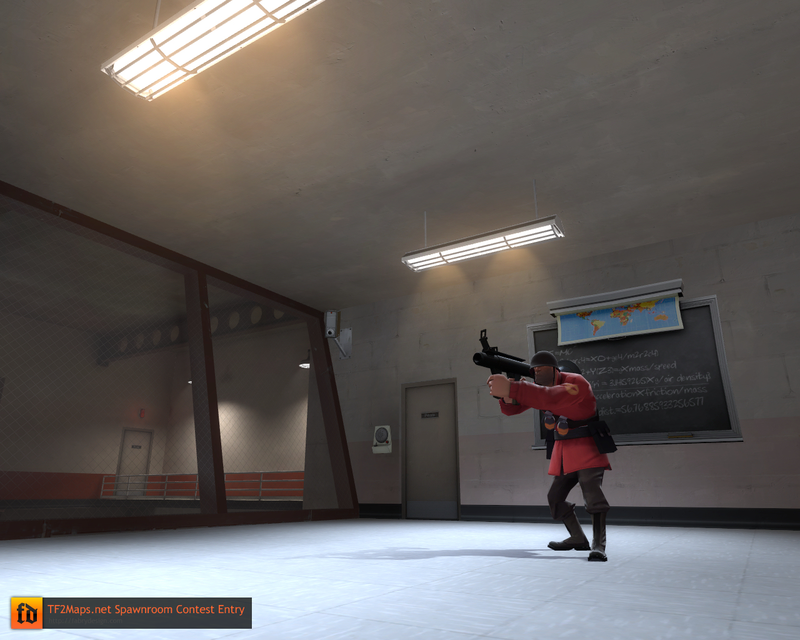 Credits go to shmitz for the TF2Maps.net poster, and ELFworks for the "join TF2" poster.